It doesn’t matter how old you get, there is almost nothing better than getting your hands on a new toy. 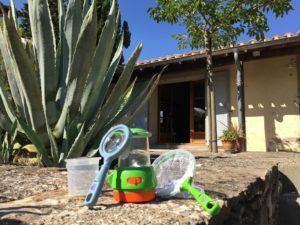 During our recent holiday to the south of France, Marley and I were super excited to crack open a brand new Nature Explorer kit we’d been sent by Anthisan*. We got a magnifying glass, a small beaker with a magnifying lens for looking at any beasties we might find, a mini butterfly net and a lamp/torch for exploring in the dark. 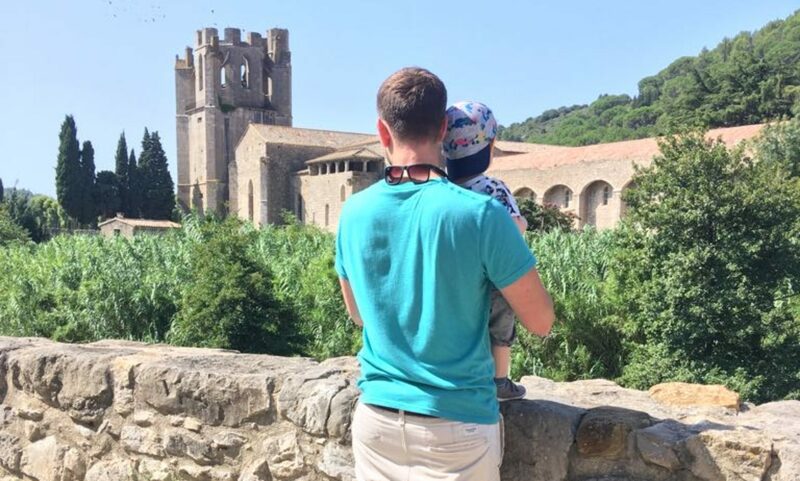 The region of France we were staying in (The Aude) is a place we’ve been to a few times before – we actually got married there in 2015. So we already had an idea of some of the creepy-crawlies we might see on our adventures; butterflies, crickets, beetles, some small lizards and possibly – even though I’m not allowed to look for them – the occasional snake. 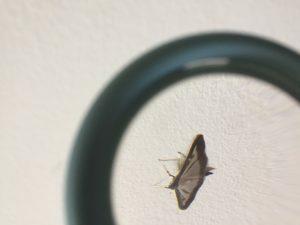 On this particular visit, we were a bit worried the only thing we might see would be the thousands of Boxtree moths that had invaded the area. They were everywhere! But we set off on our adventure anyway. 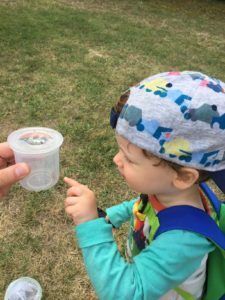 Marley – holding his little magnifying glass and net and looking incredibly cute – picked up a couple of wild flowers (“that’s for mummy”) and chased a butterfly around….keeping his distance whenever catching it became a realistic possibility. 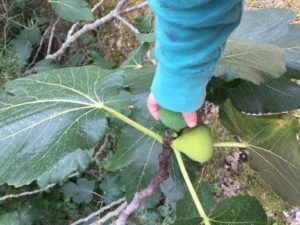 We found an olive tree, some fresh figs, before he really started embracing his inner Attenborough. 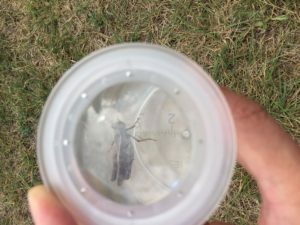 He found us a jumping cricket, which we chased and captured. It’s hilarious to watch him as he gets really close and looks inside. But then leaps back as soon as it starts to move. I was tempted to have a look under some of the larger stones on our route, just to see what might be lurking underneath. But I thought I might get in trouble if Marley returned from our nature hunt with a snake bite, so I resisted. We continued along the path. Marley was at a bit of an advantage, being so close to the ground. It’s OK, I’m not competitive about it. I looked. There was nothing there. I looked again. Still nothing. “DADDY, THERE!! !” He pointed at the ground, where I still couldn’t see anything. It was probably the most camouflaged creature imaginable, balancing on a tiny piece of grass the exact same colour as its body. I have no idea how he spotted it. But he ran back to the house to gleefully show it off to the rest of the family. 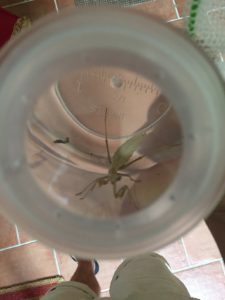 After a closer inspection, he was happy to release the mantis back in to the wild for it to go back to……whatever they do. Praying, I suppose. There is definite Attenorough potential there with Marley, a very successful hunt. And not a bite in sight! *Anthisan Bite & Sting Cream can provide symptomatic relief of skin irritation caused by insect stings, insect bites and nettle stings and has been used for over 50 years. Anthisan Bite & Sting Cream is easy to use and contains the active ingredient Mepyramine Maleate (2%), a topical antihistamine which stops the histamine affecting your body’s cells by blocking receptor sites in your nerve endings, helping to reduce pain, swelling and skin irritation. Anthisan Bite & Sting Cream (20g) retails at £3.66 and is available from leading pharmacies and supermarkets. Suitable for the whole family including children from two years. Always read the label.